Being colour blind myself I am always slightly confused by this type of video. I have primarily red green colour blindness and have tried the online test with the companies that make these corrective glasses and they won't work for me apparently. I would be very interested to know just what these people are not seeing before they put on the glasses as I see a very colourful world around me. 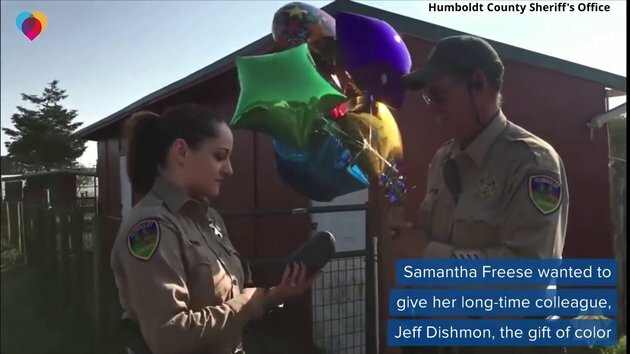 The balloons in the video look very colourful and vibrant to me, so what do they look like to the deputy sheriff. I wonder if you can get glasses that mimic the effect to someone with red green issues?